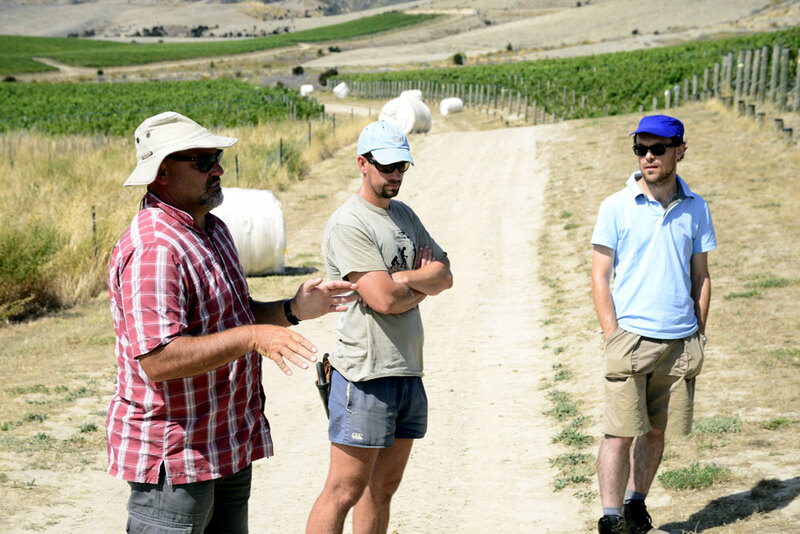 On the 20th of February, the Organic Focus Vineyard field day was held in Central Otago as part of a larger Organic Winegrowers field day. In 37deg heat, winegrowers gathered in Bendigo to first have a walk through the biodynamic Quartz Reef vineyard under the tutelage of Rudi Bauer and Grant Rolston, followed by Nick Paulin at Peregrine, then myself and Grant at the Gibbston Valley School House vineyard. Blair Deaker of Carrick, local Organic Winegrowers NZ regional representative, gave a welcome and Bart Arnst provided an overview from the other regions, including the heightened powdery mildew pressure observed across the country. Across the three vineyards toured on the day, and on discussion and reflection with the respective vineyard managers, there were several key results or observations that became apparent. The first concerned organic conversion. Nick at Peregrine likened the effect of converting conventional vineyards to organic regimes as a crack addict having to quit cold turkey. 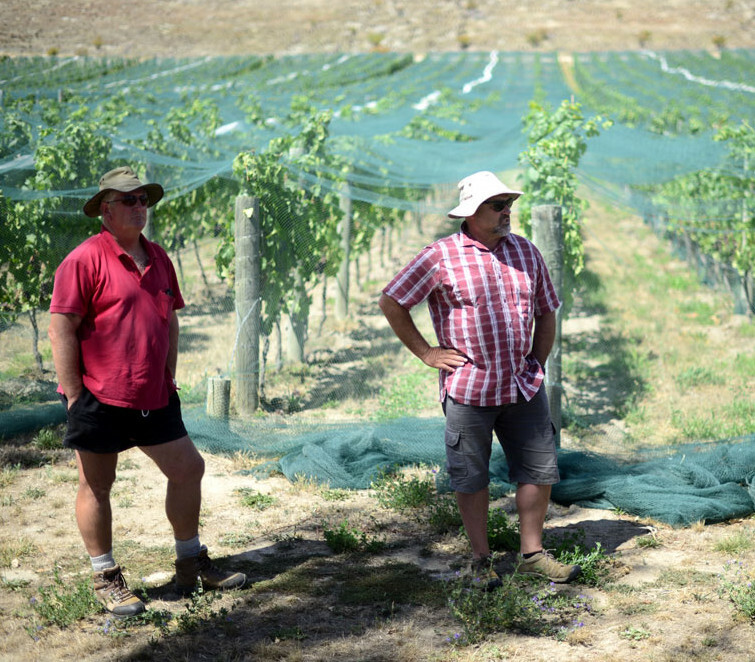 There is a let-down period where, during the first year of conversion, the vines seem quite content with the new approach and it can often be quite easy. However, the second and third year can be a struggle. Even with proactive management and a thorough nutrition program, one has to expect the vines to sulk somewhat during this phase, as they grow accustomed to their new lodgings. It’s almost as if the residual conventional nutrition in the soil becomes exhausted after that first year of conversion and the vines limp through the next couple of years as the soil begins to heal and slowly build its biomass. Nick suggested that, in hindsight, he might recommend that people who are looking to convert could mitigate these effects by transitioning with conventional and organic nutrition. The second observation concerned cultivation. If you inter-row cultivate, you will boost vigour. Bart made the comment that vineyards in Marlborough who have adopted this philosophy have cultivated every second row; trials where cultivation occurred every row resulted in too much vigour. So, to a degree, depending on where in NZ you are growing grapes and the grape variety in question – and perhaps whether you are undervine cultivating or mowing – you can find your own vigour balance subject to the degree of inter-row cultivation. Steve Davies (of Doctors Flat) questioned whether you risk mining nutrients and depleting reserves if you continue to cultivate (specifically, whether the vigour increase is a result of first pass cultivation only), but Bart cited research that illustrated that judicious cultivation and cropping actually raises organic matter. After 2-3-5 years (depending on your management) these cultivated rows are then alternated. The third observation focused on cost. There was consensus among all the vineyard managers that yes, the conversion costs result in a higher per hectate operating cost for organic vineyards (largely due to the establishment costs), but once equilibrium is achieved (as has happened for Quartz Reef and Peregrine, and as will happen now for School House), the costs are comparable for organic and conventional. This has been illustrated in only the second year of the organic focus vineyard. Fourth and finally, we touched on irrigation regimes. Each site we visited presented its own challenges based on slope and/or soil type. Quartz Reef is situated on quite a steep slope and it was Rudi and Grant’s fear that, upon organic conversion, their soils would be less stable and that after a large downpour of rain, they might arrive at the vineyard to discover the upper slope topsoil piled up at the bottom of the hill. However, this was not the case. Rather, the cultivation actually opened up the soil – Grant likened this phenomenon to a sponge – and more water was retained by the organic blocks than the conventional was ever capable of. 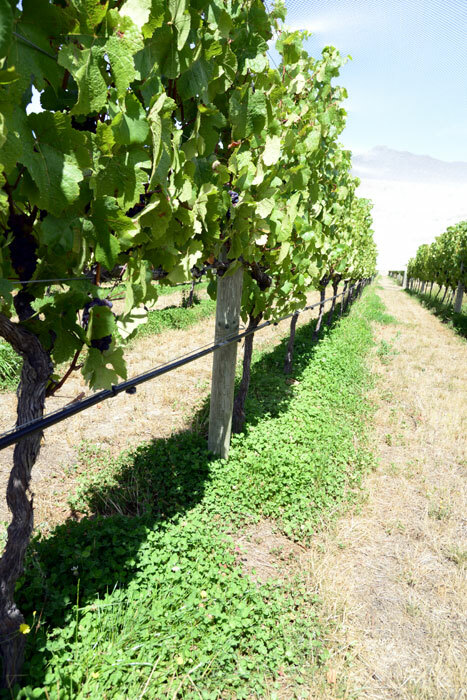 Furthermore, by employing frequent, short interval irrigation rather than big soaks (3 x 20min instead of 1hr), the vines more efficiently utilise the water with minimal run-off and more effective penetration into the soil depths. Nick has an interesting soil transition at his Peregrine block, moving from deep silts to gravel, which necessitates very different irrigation management for the different blocks. At this site, he uses an undervine mower (weed whacker) rather than cultivation, and now has a permanent undervine sward of clover. He also has drippers at each vine, in addition to between each vine, which generates a fairly consistent wetted strip for the understory. He emphasised the importance of spring growth and building your canopy, commenting that once the vines reach a certain (stress or physiological) point, it doesn’t matter how much water you put on, that canopy size is fixed. He has learned to effectively utilise the overhead frost sprinklers to essentially irrigate at various times during spring, preferring to simulate rain (and greater water dispersal/penetration in the soil) rather than solely relying on the dripper irrigation. Conversion, cultivation, cost, irrigation. 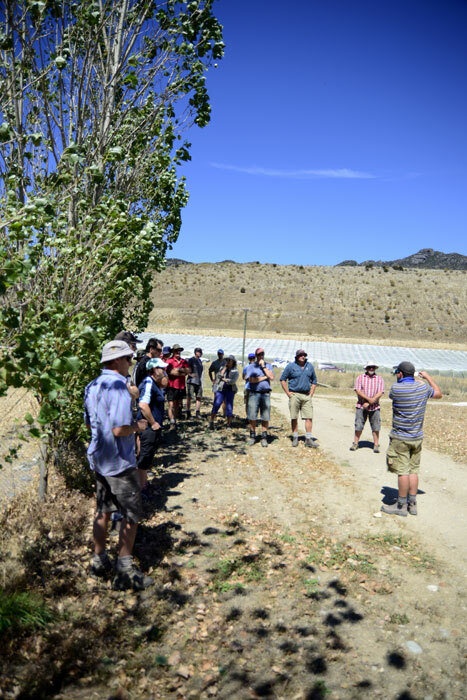 Four important results/observations from a really valuable (and friggin’ hot) afternoon touring the organic vineyards of Bendigo. Despite a fairly average attendance (too hot? too busy? ), those that were present engaged and there was a lot of useful conversation and discussion.